Dental care isn’t a luxury and isn’t just about aesthetics. When your teeth are unhealthy, it can have repercussions throughout your body and over the entire course of your life. And teeth need dental treatment to stay healthy. Any problem you’re experiencing, from the beginning stages of gingivitis to advanced tooth decay, will only get worse without attention from a dental professional, and require more costly and time-consuming treatment. Treating gum disease is easier and faster than replacing a tooth that advanced gum disease has destroyed, and a small tooth-colored filling for a new cavity is better than a root canal. The sooner you seek dental treatment, the better off you will be. But there are some patients who have spent a long time avoiding the dentist. For some, a demanding work schedule leaves no space for daytime appointments. For others, the obstacle is insurance or the lack thereof. In some cases, it is fear of being judged or even anxiety about the dental work itself that keeps a patient from visiting our office. 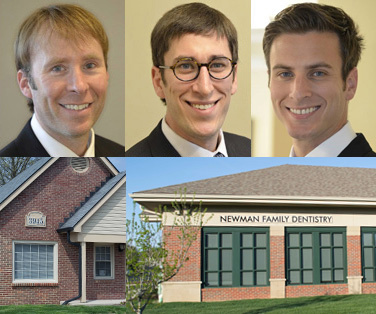 At Newman Family Dentistry, we care about your dental health. No matter what your reasons, we encourage you to come to our office and let us work with you to get you the care you need. Our office is open for regular appointments from 7 AM to 7 PM, allowing us to accommodate any schedule. In emergencies, we are even more flexible. We will do whatever we can to find a time slot that will work for you, so that you can fit us into your busy schedule. We understand that dental treatment can become expensive. In order to ease your financial burden, we work with most major insurance providers to make sure you get in-network coverage. If the problem is that you don’t have dental insurance, we offer a 15% discount on all services. For those who are uncomfortable in the dentist’s chair, we’ll do our best to put you at your ease. We provide accommodations to every individual who wants them and will work with you to determine what would make you most comfortable—whether it’s thorough explanations in advance of a procedure, having a friend or family member in the room with you, providing soothing music, or anything else that will help to make your visit a better experience. The longer you wait for the treatment you need, the worse your dental condition will get. Make an appointment today, especially if it’s been a while. We’ll help you return to full dental health, and maintain your teeth so that they stay bright and strong.